A Moscow court has found North Caucasus native guilty of murdering a football fan in a street brawl and jailed him for 20 years. 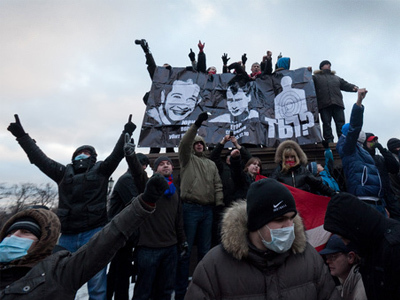 Thousands strong riots followed the shooting of Egor Sviridov in central Moscow in December 2010. 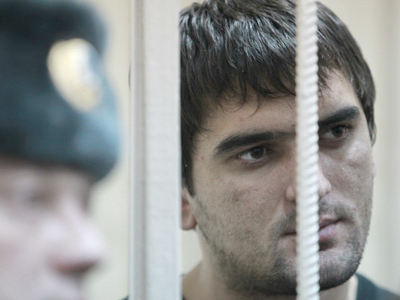 Cherkesov was found guilty of all charges – murder, attempted murder, hooliganism and assault. The defendant pleaded not guilty to attempted murder, arguing that he was fired the weapon in self-defense and without intent to kill. His co-defendants, Akay Akayev, Artur Arcibiev, Nariman Ismailov, Khasan Akayev and Ramzan Utarbieyev, also from Russia’s southern republics, will spend five years behind bars after being found guilty of hooliganism and assault. The judge said that by the verdict of the jury all defendants had found guilty of a savage premeditated attack on Sviridov and his companions on December 6. As a result of the fight some of Sviridov’s friends were injured, and Sviridov himself died of gunshot wounds to his head and stomach at the scene. Russian prosecutors had asked for a 23-year prison sentence for Aslan Cherkesov and seven to eight years for the five other defendants. Cherkesov's defense is to lodge an appeal to the Supreme Court over the sentence, which they say it too severe. Answering questions from journalists, Cherkesov’s attorney, Dmitry Pankov, said he believed his client had been handed an excessively harsh sentence because the case had been politicized. “You all understand perfectly that our case has political shadow, even though it was not a political crime,” he said. Police arrested Cherkesov and his five co-defendants in the wake of the fight, released Cherkesov’s companions just a few hours later. This sparked violent protests by Spartak Moscow fans and nationalist extremists who marched in their thousands to Manezh Square near the Kremlin, giving Nazi salutes and throwing flares at police in what was dubbed a race riot. The crime rocked Russia and led Prime Minister Vladimir Putin to pay personal tribute to Sviridov and visit his grave. 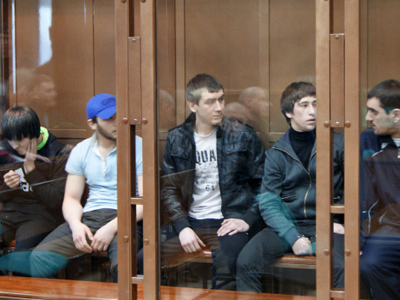 Later today five men were found guilty of taking part in ethnic clashes in Moscow. 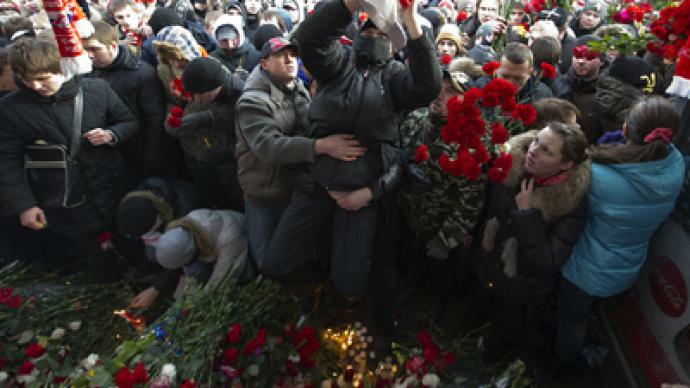 Moscow’s Tverskoi District Court ruled that Igor Berezyuk, Kyrill Unchuk, Ruslan Khubaev, Leonid Panin and Aleksandr Kozevin called for mass disturbances and caused bodily harm to police during a rally at Manezh Square. The five men were handed down prison sentences ranging from 2 to 5.5 years. The activists from the opposition Other Russia movement – Berezyuk, Khubaev and Unchuk – got longer prison terms: 5.5, 4 and 3 years, respectively.